A characterful alternative to the go-to German luxury saloons and far more engaging to drive. Diesel offers low emissions and tax but is very strong. Excellent overall refinement. Not as much rear space as you might expect. Some inconsistency in cabin quality. Doesn’t always feel head and shoulders above the Jaguar XF. 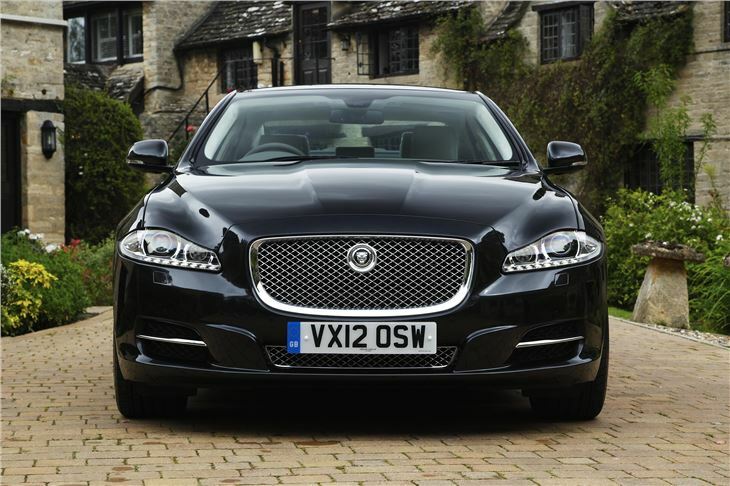 The Jaguar XJ is a classy British luxury saloon that encapsulates the best that modern Jaguar has to offer. It’s the company’s flagship large limo, which in theory should bring together everything that’s great about Jaguar today. And it does, almost. What’s not in doubt is that the XJ model has moved onwards and upwards, ditching the evolutionary design approach repeated generation after generation since the 1960s. The bold design will alienate some traditionalists, but it’s unique and modern. 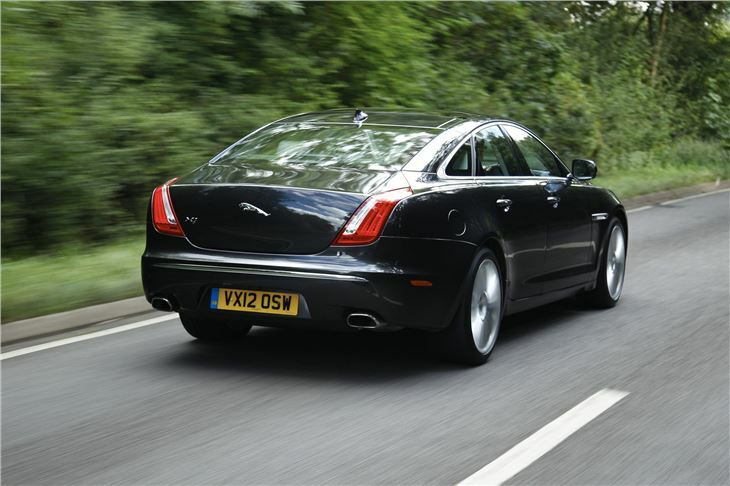 The result is that today’s XJ is made more in the mould of a big sports saloon than an out-and-out limousine. That puts it on ground somewhere between the cosseting Mercedes S-Class or Audi A8 on one side, and more dynamic saloons like the Maserati Quattroporte or Porsche Panamera on the other. 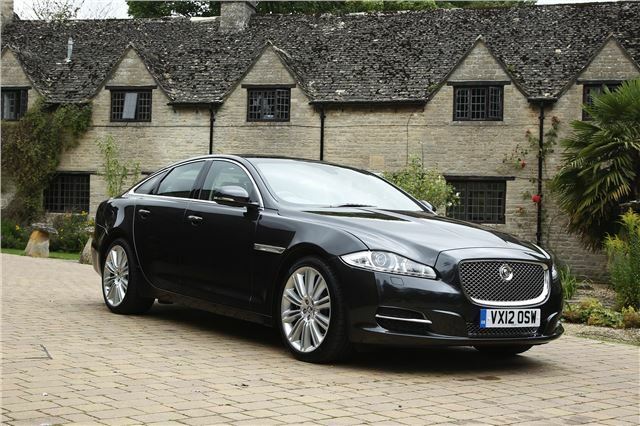 It's ground that naturally means some compromise, but Jaguar has generally got the balance spot on. 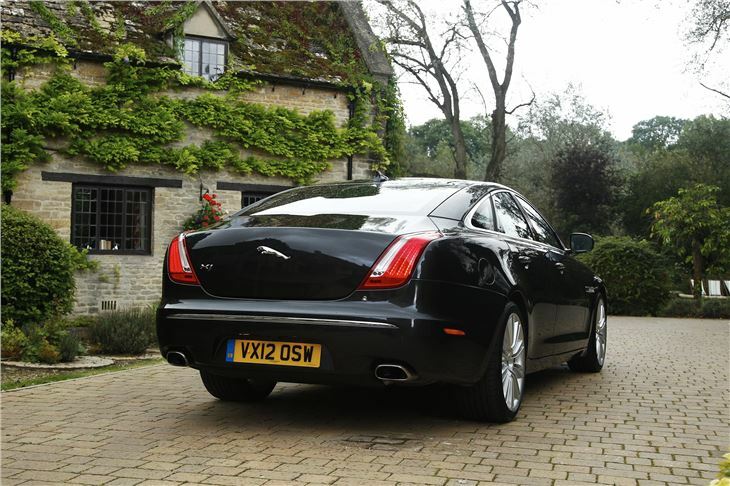 The XJ drives like a sports saloon, with a compact-feeling cockpit and genuine sharpness, yet most of the time it goes about its business with the unfussy calmness and quiet you’d expect of a limo. It’s not quite perfection however. This being a British car, many of the flaws may be written off as ‘character’, but the fact remains that when it comes to outright space, quality and technology, the XJ falls a little short of the aforementioned German limos. The air vents, for example, are cheap-looking shiny plastic domes set incongruously into a beautiful soft leather dashboard, while the touchscreen multimedia interface has a relatively small, low-resolution screen – although it does boast amazing ‘twin view’ technology that allows the front passenger and driver to view different things at the same time. 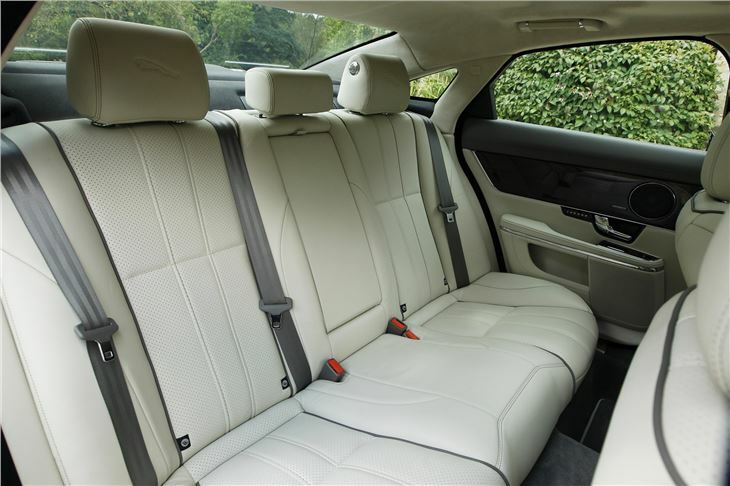 Taller drivers and rear seat passengers will be left wanting for both head- and legroom, which in this class is troubling. Especially as the long wheelbase (LWB) version seems to share the standard version’s space deficiency, despite offering 125mm more rear legroom. That said, Jaguar did increase rear headroom for 2014 model year LWB models and introduce twin ‘airline’ style seats. 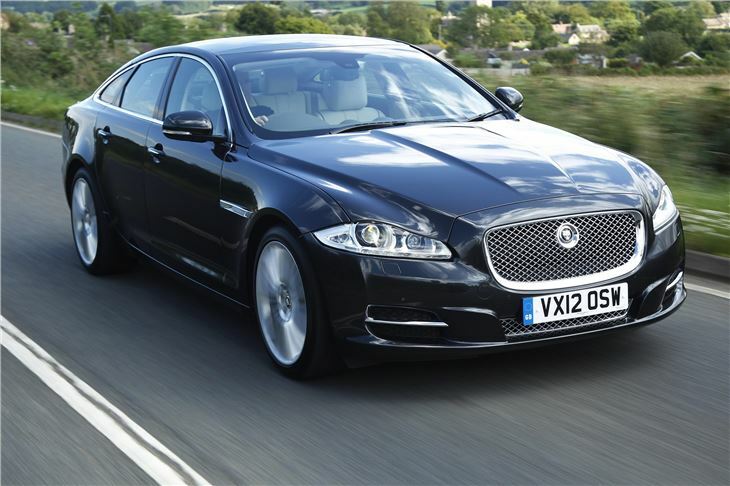 In late 2013 Jaguar updated the XJ with more engines for the 2014 model year, so the range comprises three petrol units and a 3.0-litre V6 diesel offering 44.8mpg and 159g/km CO2. At the top end of the spectrum, the 550PS 5.0-litre supercharged V8 XJR returns 24.4mpg, but hits 62mph in just 4.6 seconds. 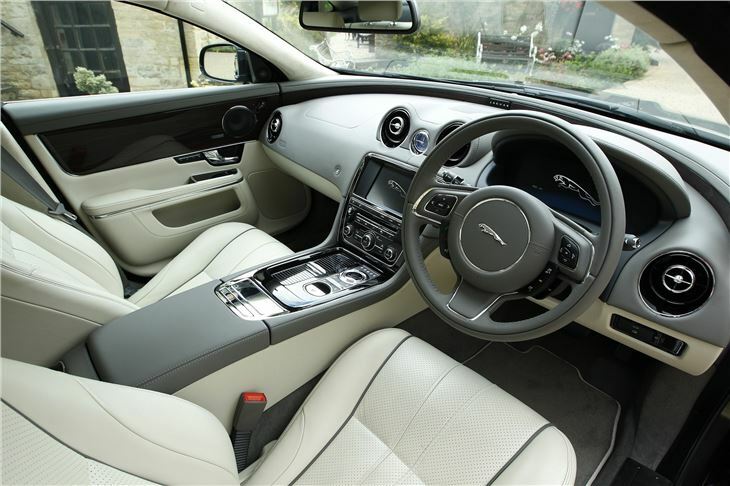 Additionally, 2014 saw Jaguar introduce all-wheel drive to the XJ range, available only with the 3.0-litre V6 petrol engine, as well as fuel-saving start/stop technology and a more efficient eight-speed automatic gearbox across the board. Lots of toys but not as economical as it should be.